Medfield will be attending a number of different events and expos in 2019. Here are a few dates where we will be visible. 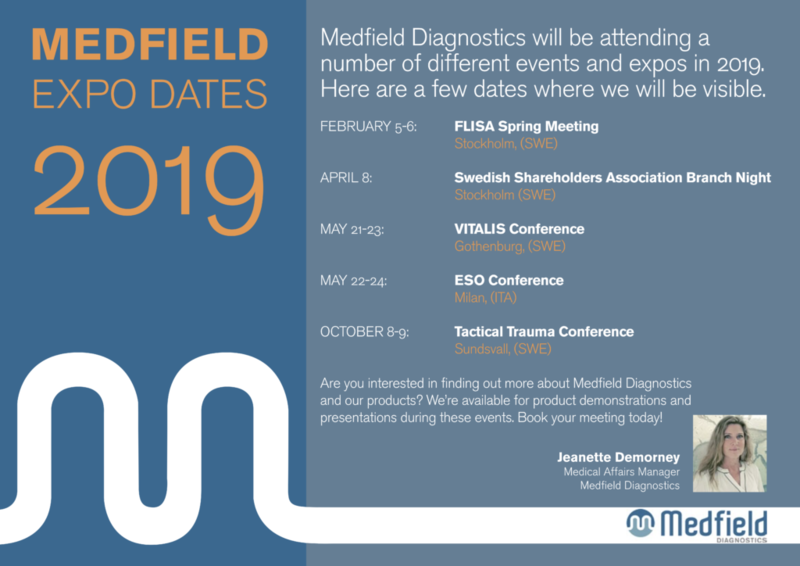 Keep up with the latest from us at Medfield Diagnostics.